Please join us for the PTO Meeting on Wednesday, May 15 at 7pm. Free child care will be provided. We hope to see you there! Do you have experience with newspaper layouts? If so, the Boulevard Times could use your help! Please contact Katie Klimek at katieklimek@gmail.com for more information. We have an awesome line of spirit wear, featuring soft t-shirts, athletic fabrics, and a variety of styles! Check out our Boulevard Boutique Products & Descriptions. Samples will be on display thoughout the year at various Boulevard events. To order, you can print, complete, and send in order form with payment, or scan completed form to boulevardspiritwear@gmail.com and submit payment via payforit.net(under “Fundraisers", then "Boulevard Elementary Spirit Wear”). Don't Be Left Out of Shaker Schools Family Directory! 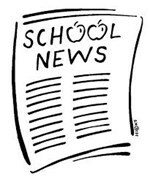 To stay informed of what is happening at Boulevard and the school district, please click here and enter your e-mail address. You will be entered in the PTO database so you will receive the appropriate PTO e-newsletters as your children transition from school to school. We value your privacy; therefore, we will not sell, rent, or give your name or address to anyone. At any point, you can select the link that appears at the bottom of every e-mail to unsubscribe, or to change your preferences. Sign up today to stay informed!